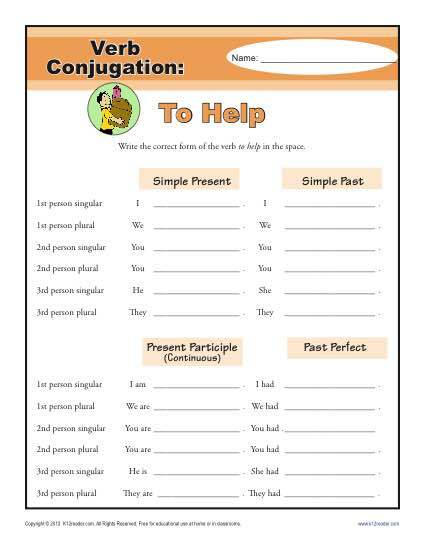 This worksheet focuses on the verb “to help” and four of its tenses: simple present, simple past, present participle, and past perfect. How perfect is that! Ideal for using for 2nd through 5th grade Common Core Standards for Language, other students may also find it appropriate.